A Mauritius-based startup is working on the first highly-efficient mobile blockchain developed in Africa, which it says is set to see large-scale consumer adoption by 2021. Developed by software development company March Hare, founded in December 2017, DéMars is a mobile money platform and new blockchain protocol for emerging markets, which is fast, scalable, private, secure and virtually free. It’s also the first of its kind developed in Africa. DéMars is a next generation blockchain protocol. The infrastructure is designed to reduce data transfers and energy consumption, while the network’s design enables it to run on decentralised mobile phone nodes and maintain a high level of cryptographic security and protection from double-spending. The protocol is designed for micro-currency exchanges and payments in a distributed and decentralised marketplace. As the network grows, through use of its application, the technology can be extended to informal trades in goods and services, micro-lending and to insurance contracts. The project itself was conceptualised around two years when founder Shaun Burrow was chief financial officer (CFO) of a large software as a service (SaaS) business and began working with BitPay. “We built an e-wallet application and integrated bitcoin payments and receipts. This was for freelancers. I was “forced” to open an account at an exchange and buy some bitcoin so I could test bitcoin payments to and from the e-wallet application,” he said. Until now, various technological issues have held back large-scale consumer adoption of blockchain technology, with many early adopters having abandoned Bitcoin, Ripple, and Ethereum due to poor user experience. The aim of DéMars is to provide a new infrastructure, the beta version of which will be revealed by the end of the second quarter of next year. The “Banking as a Service Platform” will reduce the high cost of remittances to and within developing markets and enable access to simple lending, insurance and savings products. This is made possible via a smart contract escrow feature, where users can place a classified advert on the network and trade goods, services and cash with others. “I started researching the entry-level market, and I was simply blown away to learn that 1.7 billion adults don’t have access to basic financial services and to learn that in the remittance space, families are paying about US$45 billion a year in fees on the funds they are sending home,” said Burrow. DéMars has worked out a more efficient way – versus other protocols like Bitcoin and Ethereum – to transfer data and validate transactions. The key innovation is a novel blockchain protocol which leverages a hypercube distributed hash table, similar technology to that used in file sharing, speeds up the network, and allows it to scale efficiently. All transactions are completely private as they are only stored on a mobile phone and it is not necessary to download the entire blockchain. There is also no centralised or decentralised servers as the network is stored and “lives” on the users’ phones. This means it is completely distributed and free of censorship. The network and application are free, and it is owned by its users. 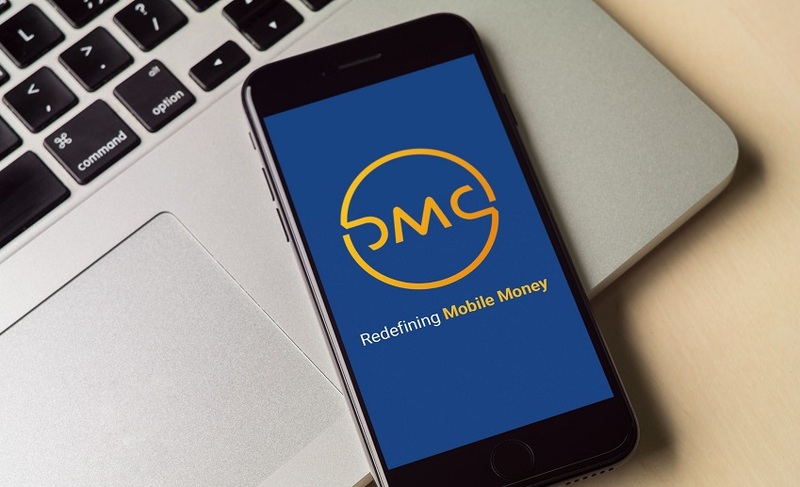 All transactions are also virtually free, with a user only needing access to the native currency, DMC. Only 10 billion DMC will be issued, so there is a limited supply, with the project currently pre-selling eight billion coins to raise funds for further development. Once deployed, entrepreneurs and developers will be able to build apps and offer services on the network too.